Austria aircraft manufacturing company, Diamond Aircraft Industries in collaboration with indigenous company, Interjet Nigeria Limited are in talks with the federal government on their plan to establish aircraft assembly plant in Nigeria. When established, the assembly plant will cater to the West African market and beyond. Diamond Aircraft Industries is an Austrian-based manufacturer of general aviation aircraft and motor gliders. It is the third largest manufacturer of aircraft for the general aviation sector, and had a global presence; possessing its own manufacturing facilities in Wiener Neustadt, Lower Austria and in London, Ontario, Canada, as well as further production lines operated as joint ventures in other nations, such as China. Managing Director of Interjet Nigeria Limited, Seun Peters who confirmed the plan, said decisions would soon be taken on the project. “Interjet Limited, in partnership with Diamond Aircraft of Austria, is working towards building a state-of-the-art maintenance facility in Abuja to service Nigeria and other West African countries. We are confident that in view of our experience, the dream of the Buhari -led Administration to turn Nigeria into a leading aviation hub for sales and maintenance of Aircraft in Africa will be realised,” he said. 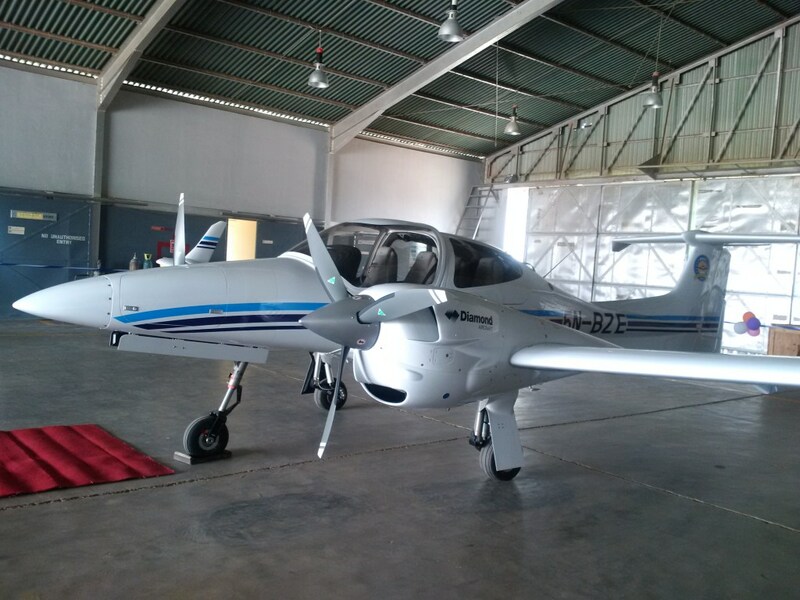 Diamond Aircraft Industries is supplying the Nigerian College of Aviation Technology (NCAT), Zaria 20 trainer aircraft with after sales skills training. During the commissioning of the delivery of the first batch of the aircraft the representative of Diamond, ReinhardSchwaiger confirmed the plan to THISDAY in an interview and said that the management of the company would take decision on when the plant would be established in Nigeria. On the delivery of trainer aircraft to NCAT, Schwaiger said the company had already trained NCAT technical personnel that would be maintaining the aircraft. “We have trained some personnel already. Diamond customer service is a one-stop shop. We train for the airframe and the engine,” he said. Schwaiger said his company in partnership with Interjet would work with NCAT and Nigeria to develop technical skills in aircraft maintenance when the plant would be established. Peters in his address during the commissioning of the newly delivered aircraft, said the College is expected to play significant roles in the development of aviation in Nigeria, considering the fact that it is one of the great aviation schools in Africa. “We are well aware of the role NCAT is expected to play in training quality manpower; first among equals for safety, standards and efficiency. This role is very crucial to the diversification drive of government to open our country to foreign investments; in this we are proud to be associated with the federal government in making this a reality. Our determination is to see NCAT re-positioned as a foremost international academy; a choice training aviation institution for professionals in the whole of Africa; we believe this is very possible. “Our Aircraft are one of the safest and most durable in the world and come with advanced avionics and sophisticated Austro engines which run on JET-A1 which is much easier to purchase than Aviation Gasoline (AVGAS). The Aircraft are built with composite material which make them light weight and easy to fly and have a remarkable fuel efficiency. Our safety record is unmatched which is why our Aircrafts are the best and most sought after in the world today. There is therefore absolutely no reason why Nigeria cannot maintain and assemble aircrafts in this age of ICT and universal science engineering. Also, the Minister of State, Aviation, Senator HadiSirika, in an interview, commended Diamond and Interjet and praised the aviation College for its outstanding achievements. “I think we are one of the best training institutions around the world that that have the capacity and ability to do all of those trainings that are listed by the International Civil Aviation Organisation (ICAO). I can’t remember any institution that has most of those things NCAT has got. The school has its airport, it has its control tower, it has its students’ hostels, training aids, production units, swimming pool, golf course etc. These are all within the College and they support learning,” the minister said.